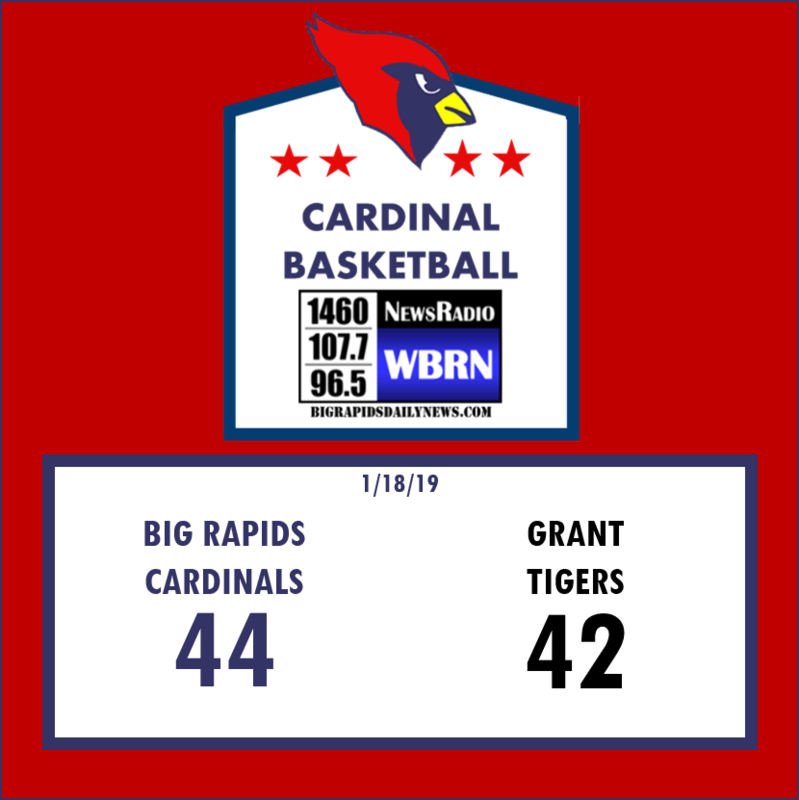 The Big Rapids Cardinals edged the Grant Tigers 44-42 at Grant High School in CSAA-Gold Conference action Friday night. The game was a back and forth affair with 8 lead changes including a final minute 3 point hit by Big Rapid’s Trevor Woodard. The Cardinals had possession with less than a minute to go when Coach Kent Ingles drew up another in-bound gem. Running picks to draw the defense to Jake Martinson, who averages 21, 3 Grant defenders bit opening up Trevor Woodard for a wide-open shot on the far side of the court. The 3 point bomb hit the rim and bounced a few times before landing home and sealing the deal the Cardinals. Woodard finished with 6 points, while Martinson tallied yet another double-double with 23 points and 11 rebounds. The Cardinals are on a 2 game win streak in conference while the Tigers have now lost 3 in a row. Despite the conference win, the only movement in the CSAA - Gold was the Cardinals and Tigers swapping spots (BR to 5th, Grant to 6th) as Fremont and Reed City, Gold’s 1st & 2nd place teams respectively, both took care of business. Fremont handled Chip Hills at home 74-30 while the Coyotes had little issue in Newaygo’s “Lions Den” winning 73-62. 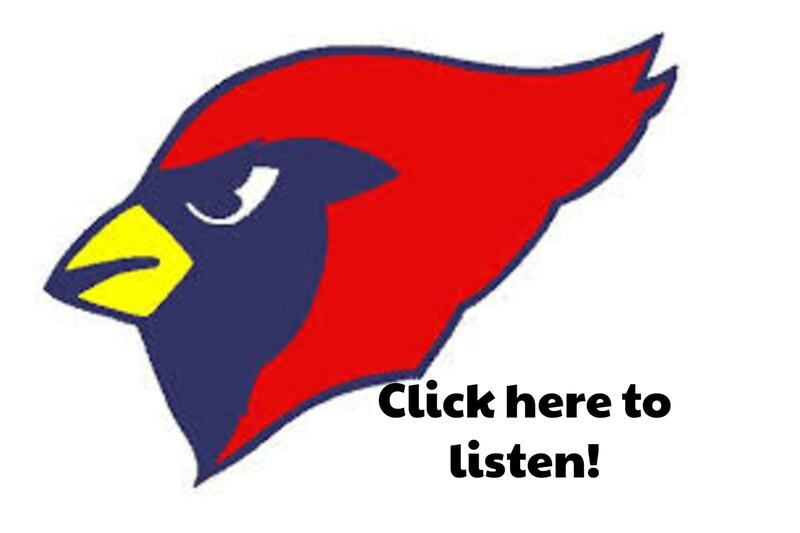 The Cardinals (5-5) host the Chippewa Hills Warriors (3-6) tonight at 7:00pm in Big Rapids.